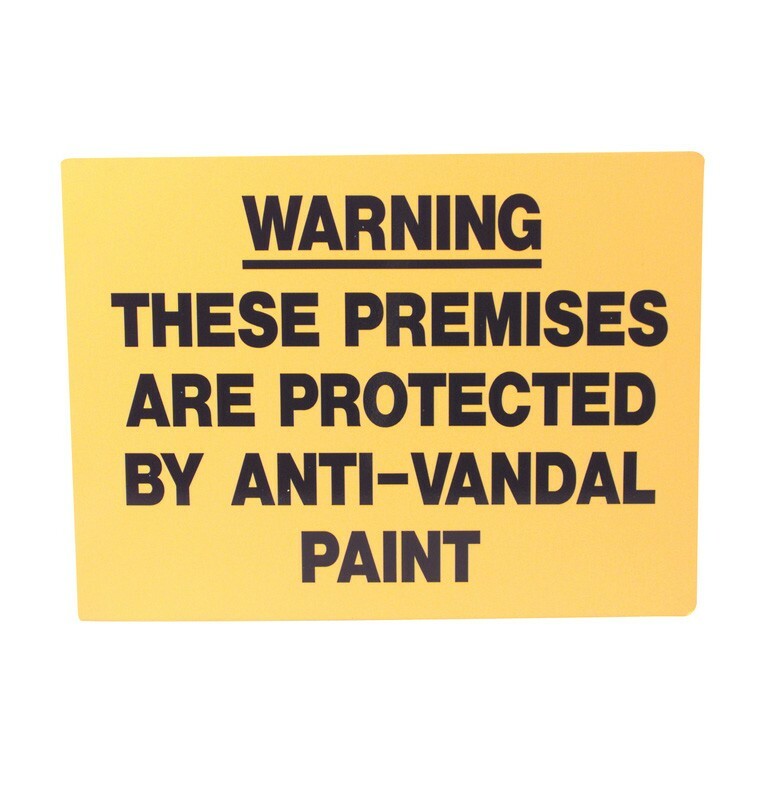 It is a lawful requirement that users erect a warning sign to indicate anti-vandal climb paint is in use, when applicable. These signs are made from a rigid, yellow, polycarbonate, measuring 300x400mm (12x16") in size. 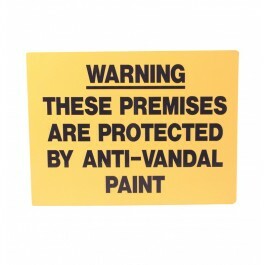 Sign states "Warning - These Premises Are Protected By Anti-Vandal Paint" printed in black. Anti-vandal climb paint available from stock.